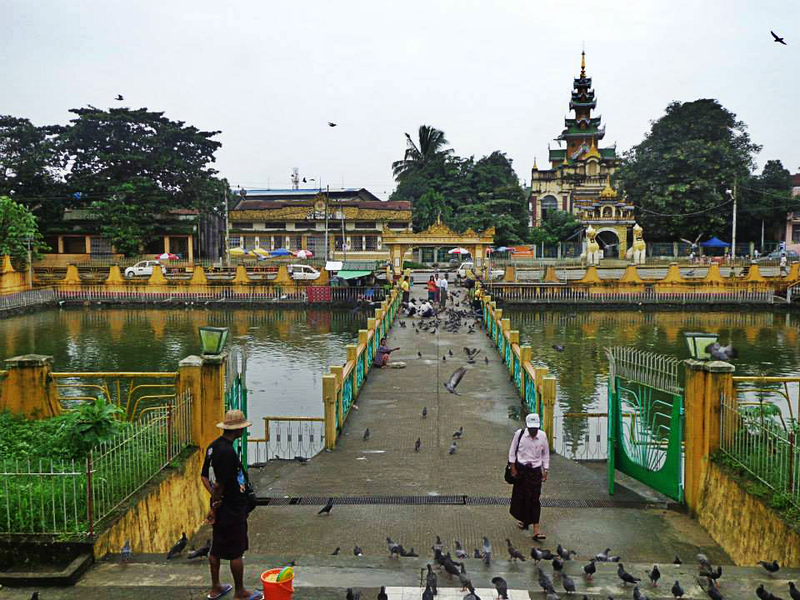 The cityscape of Yangon was not only limited to towering Pagodas. 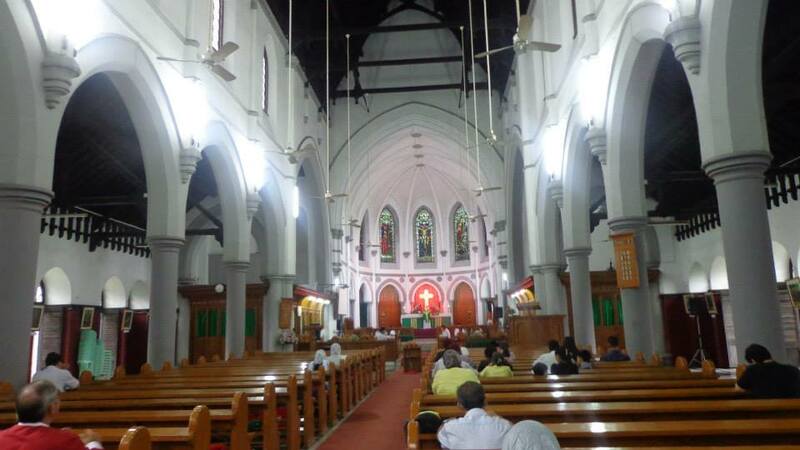 There were also remnants of the country's old colonial past, and religious buildings that hinted at the country's multiculturalism. 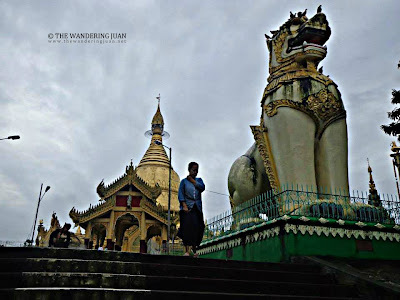 I was aching to explore the streets of Yangon more. 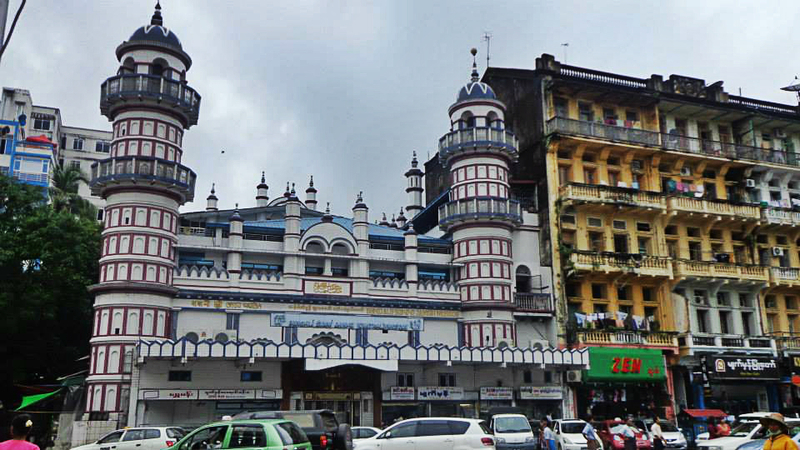 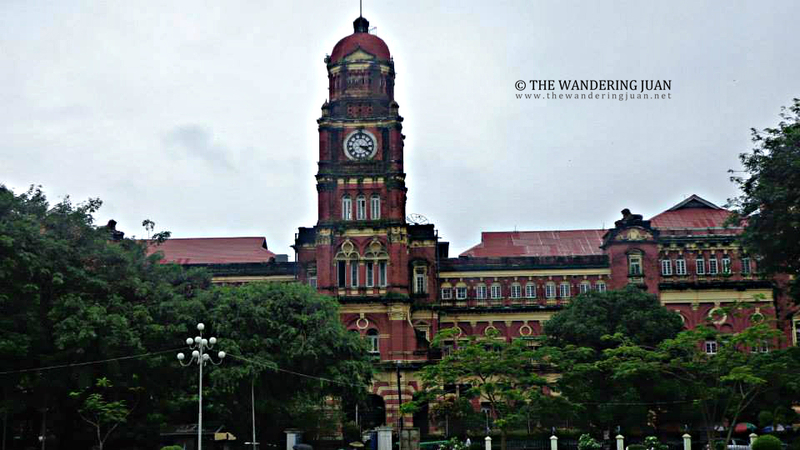 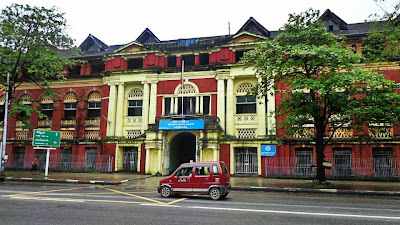 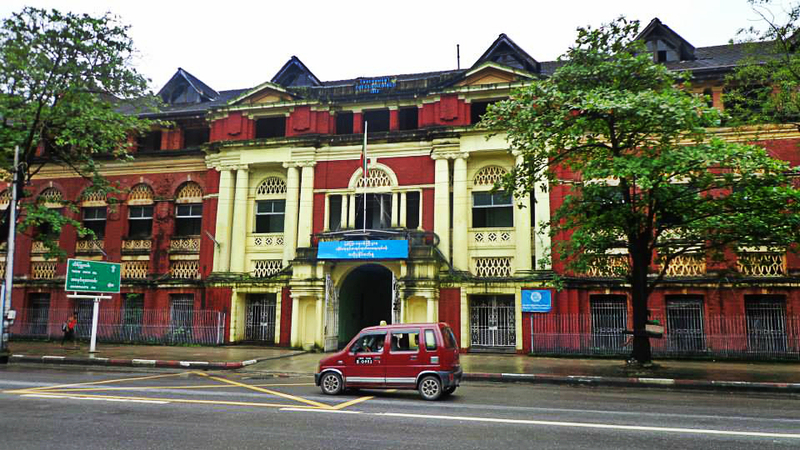 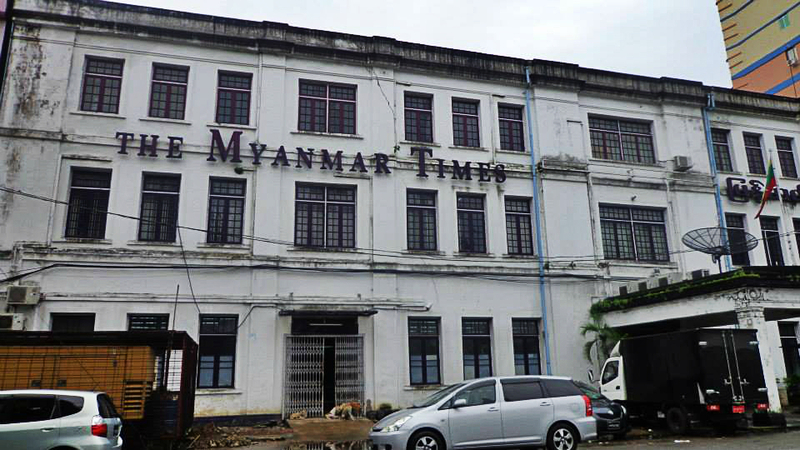 There were a lot of old-colonial architecture buildings lining the streets of Yangon. 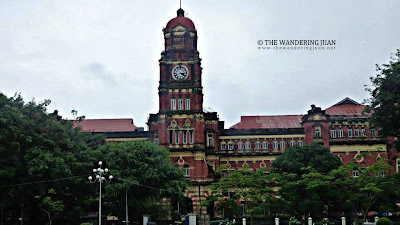 Some of the buildings looked like they were taken right out of Britain. 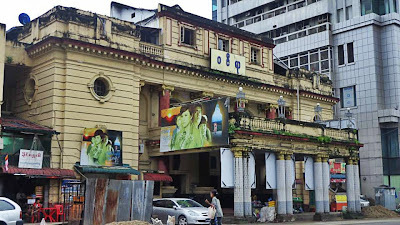 This building is an old theater house that featured Burmese films, too bad I was unable to watch a movie inside it. 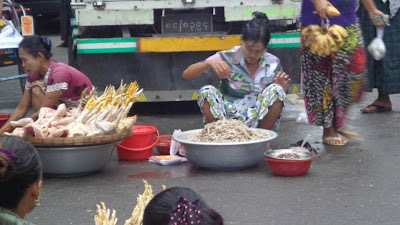 Locals started early, by selling their products on the streets. I found these apartment buildings quite unique. I forgot what this young girl was selling. 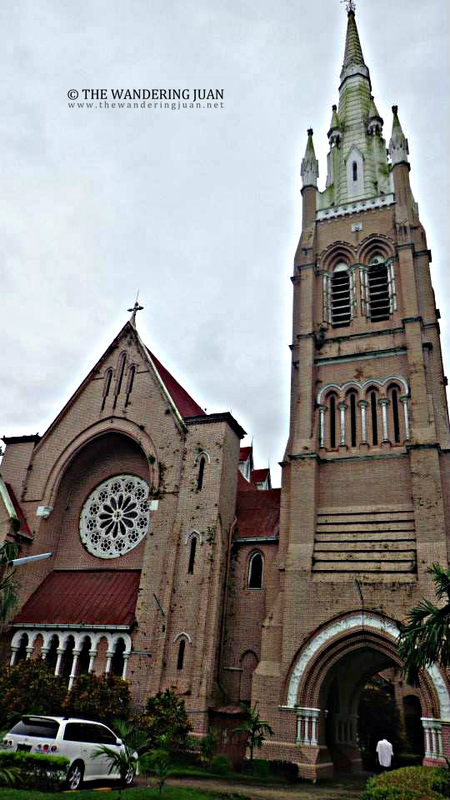 St. Mary's Cathedral looked like it was taken right out of Europe. 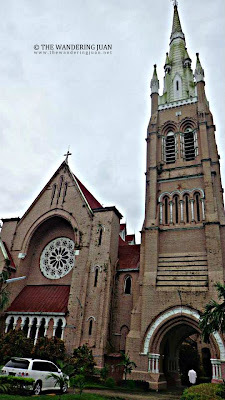 And so was this Anglican Church. 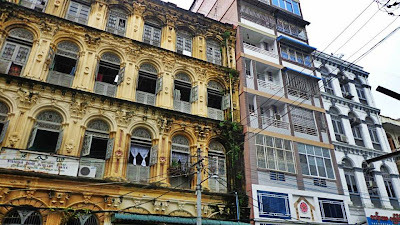 I was already surprised with the architecture I saw in Yangon, I was more surprised at how multicultural this country (at least Yangon) is. 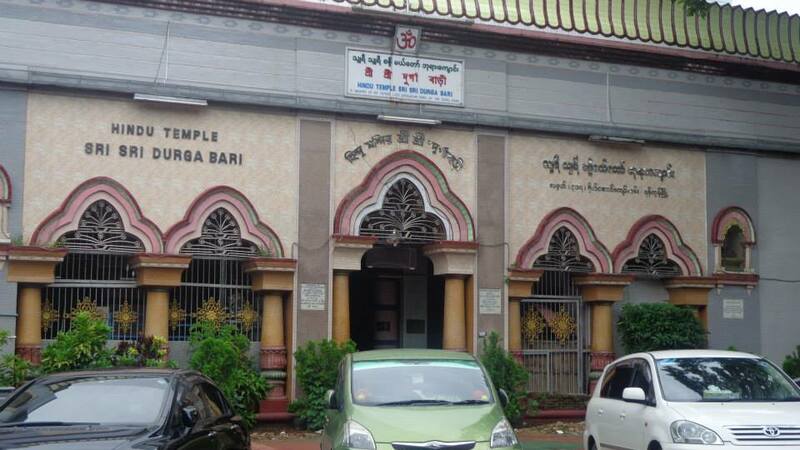 There were places of worship for different religions from Christian to Muslim to Buddhist to Hindu. For a supposedly secluded country, I found the multiculturalism surprising. 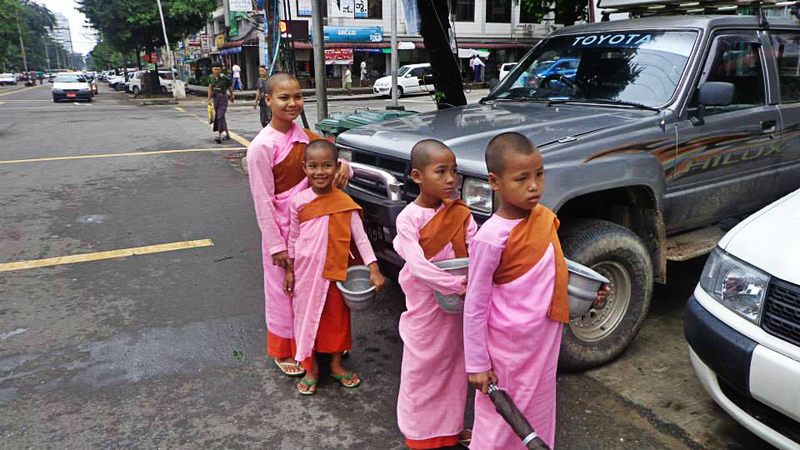 Two of the pink-robed monks didn't notice me taking pictures, while the other two pretended not to see me. 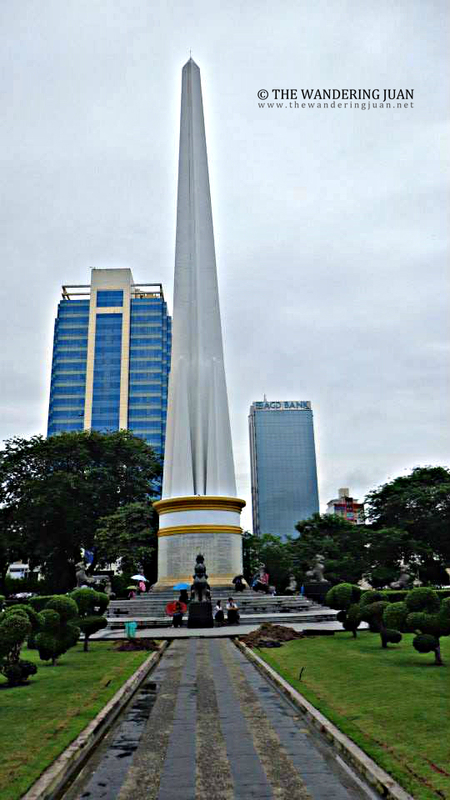 The Independence Monument was located near Sule Pagoda and Yangon City Hall. 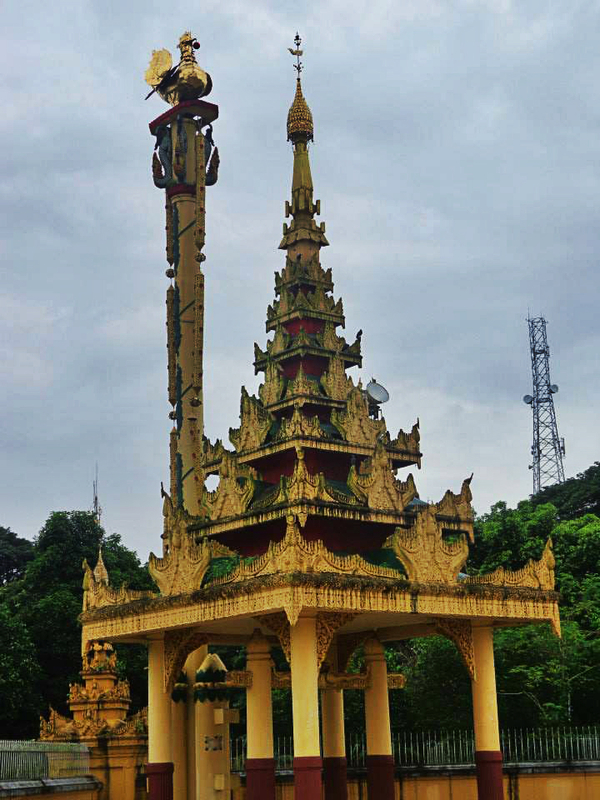 This monument symbolized the independence of Myanmar from British rule. 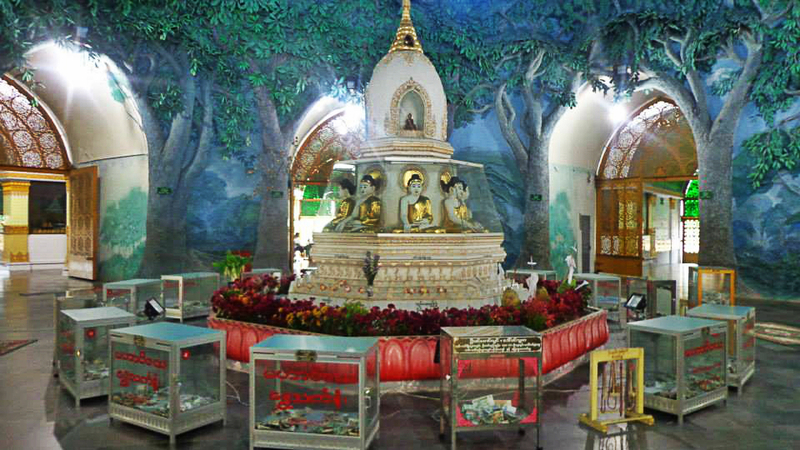 This small temple was near the hotel I stayed in. 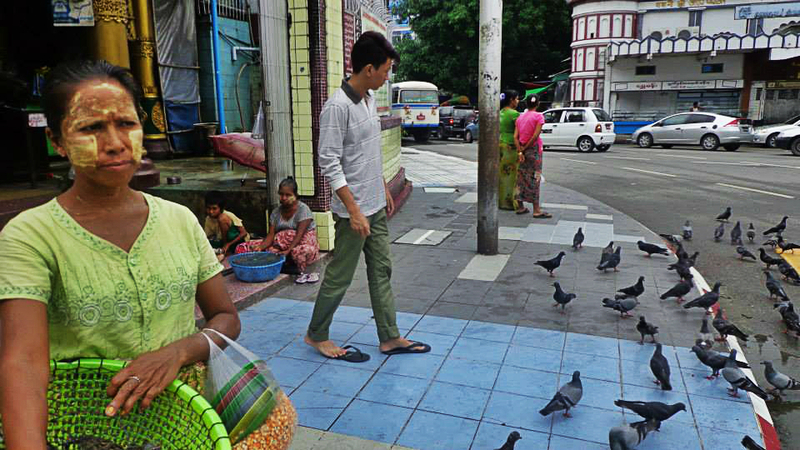 It was worth a short stop. 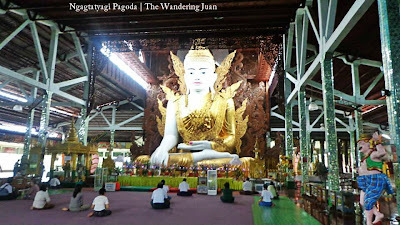 There was a large Buddha inside this pagoda. It was peaceful inside and many worshipers came to pray to Buddha. 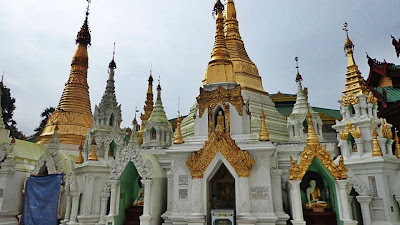 This temple is near Shwedagon Pagoda. 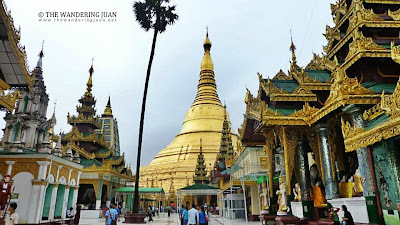 I wanted to return to Shwedagon Pagoda and check it out in the morning. 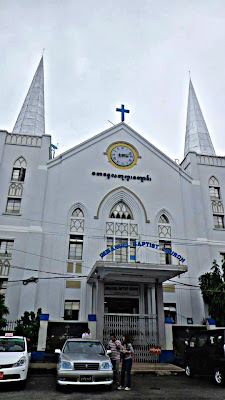 This time around I took the bus from the Anglican Church from Bogyoke Road. The bus to Shwedagon costs 100 kyats (way cheaper than taking a cab). It was just a big bus with the seats in the middle removed to maximize space. 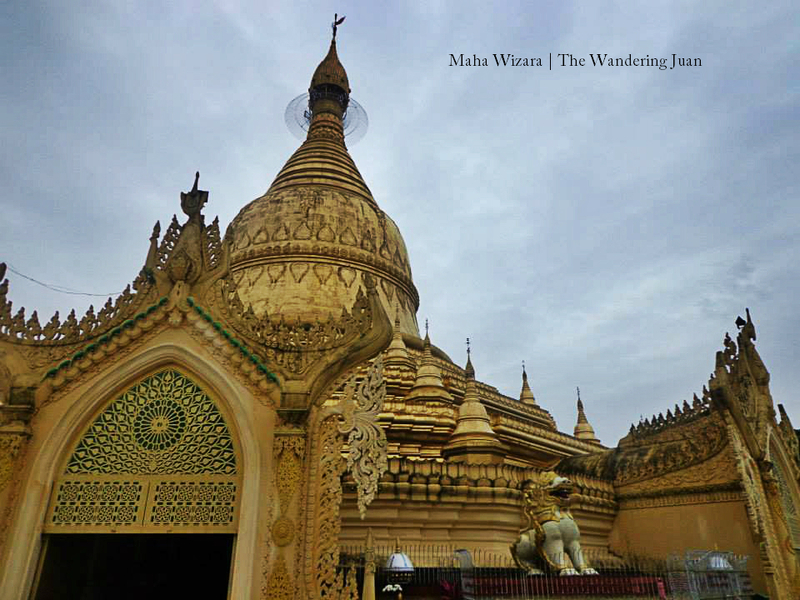 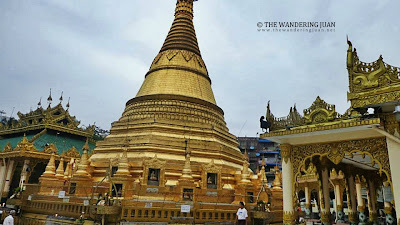 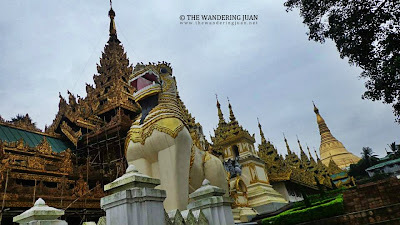 I had no intention of visiting Maha Wizara, but when I saw it on the way to Shwedagon, I decided to take a look. 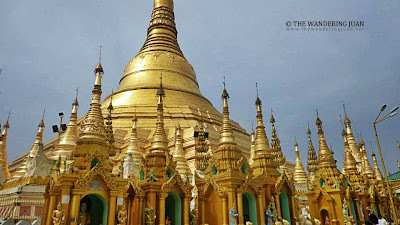 I couldn't get enough of Shwedagon that is why I decided to visit it again, in the morning this time. Shwedagon Pagoda was just as majestic in the morning as it was at night. 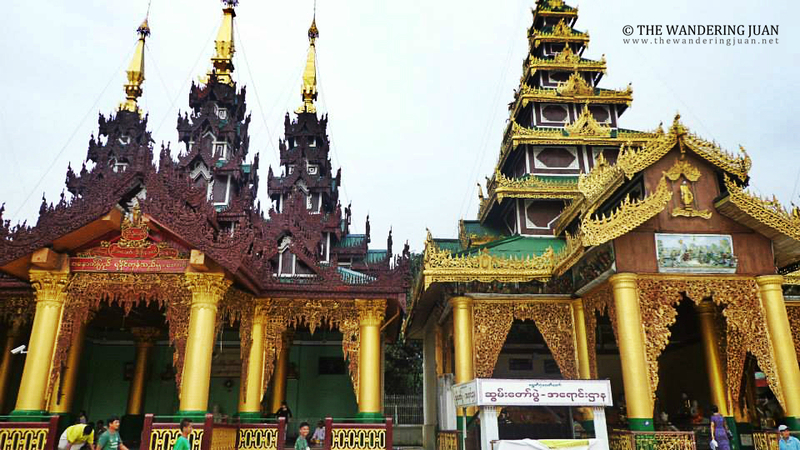 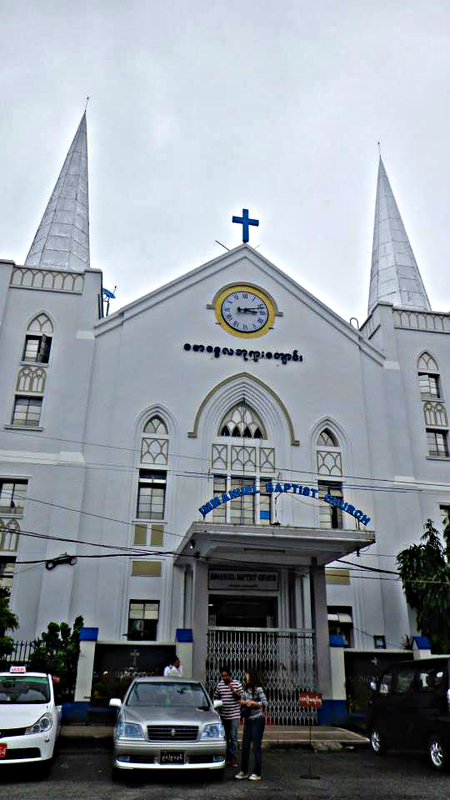 Except for Shwedagon Pagoda, Ngahtatyagi Pagoda, and Maha Wizara, these buildings are all located in downtown Yangon. Walking to the buildings mentioned here would take 15 to 30 minutes depending on which part of downtown you start from. 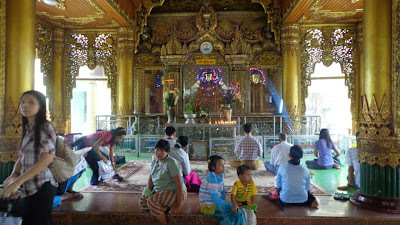 I mostly walked everywhere I went except for the temples that were outside downtown. I used a map and asked locals if I got lost. 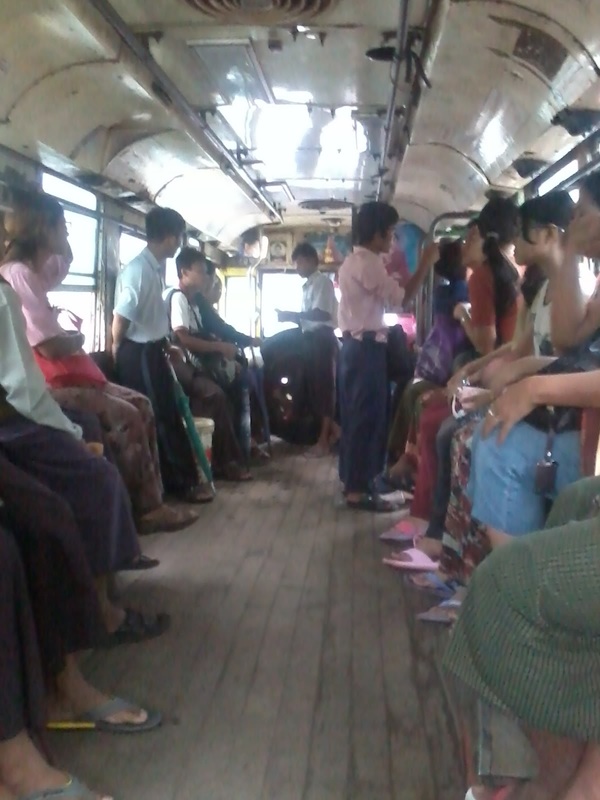 I tried taking the bus but found it confusing, since the conductor's English was limited to yes and no. You can rent a car for the whole day for $50 or take one way rides between 1,500 to 3,000 kyats.There are flights that go to Yangon via Kuala Lumpur, Malaysia and Bangkok, Thailand. 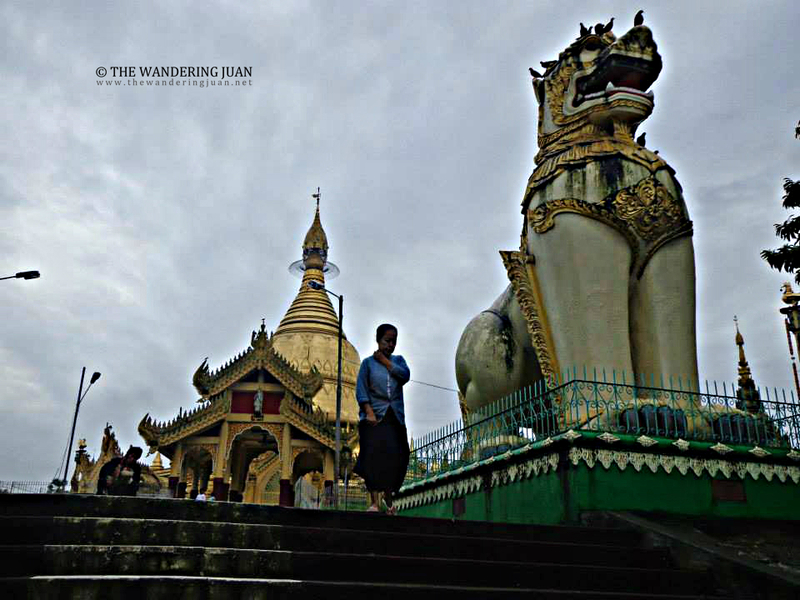 Those are stunning photos Mr. Wanderer! 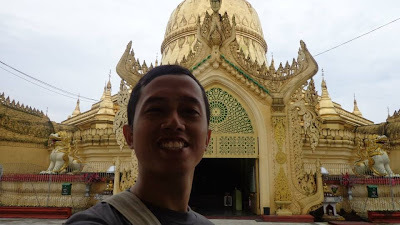 You are so lucky to have them gazed with your very eyes and what more, you got a memento with those picture files to browse over in 5 or 10 years from now. 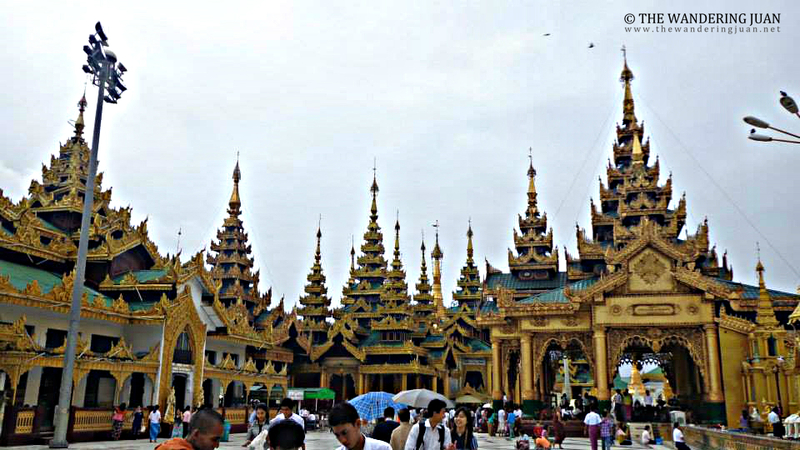 Such a beautiful scenary. 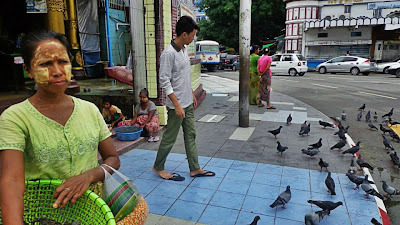 You sir are a very lucky human being and i look forward to reading all about your next stop. 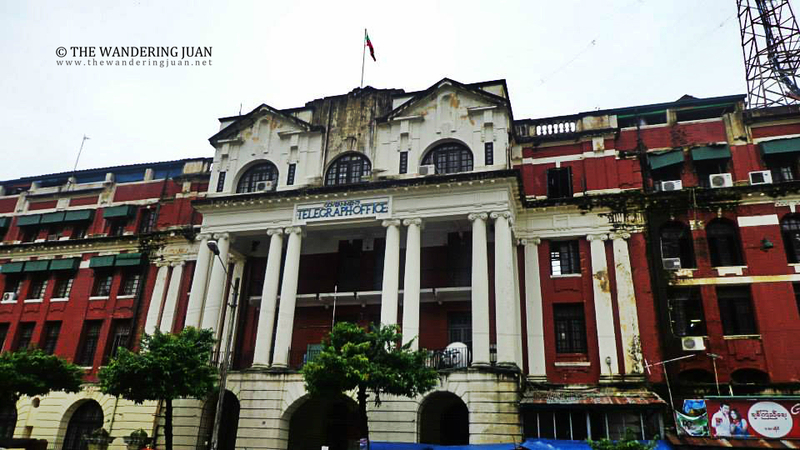 Great structures,they really value their historical sites. It's nice to see European influences in the cathedraps in Burma. 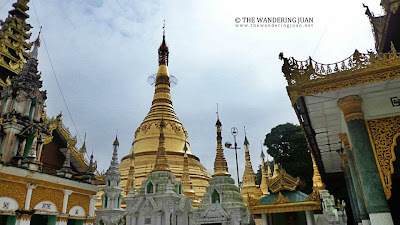 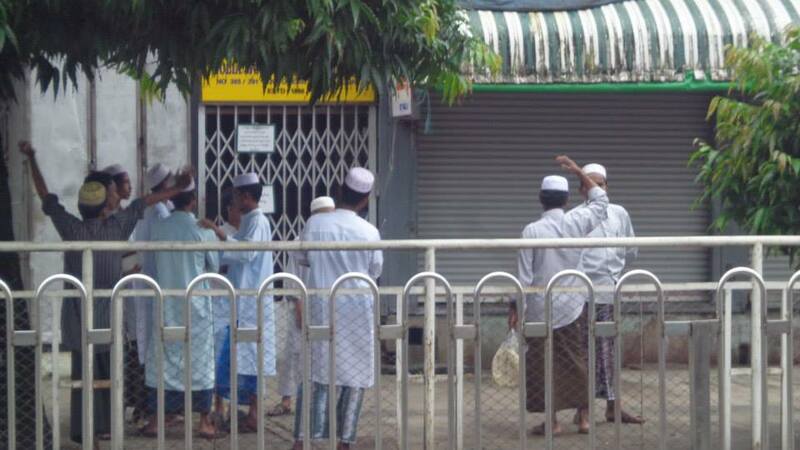 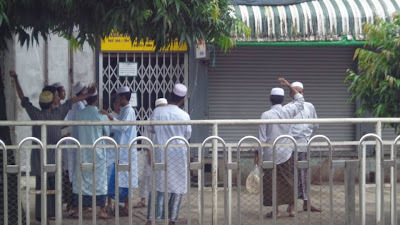 Love to go and visit Yangon, Burma. I was surprised with the Western influence evident in their rich architecture. Hope to be able to visit this place one day. The Shwe Dagon is a must-see! 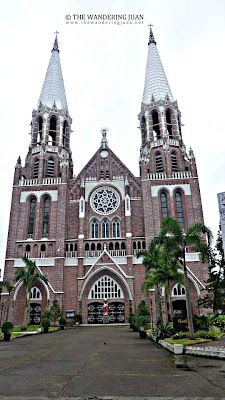 Their European architecture reminds me of Ho Chi Minh City. 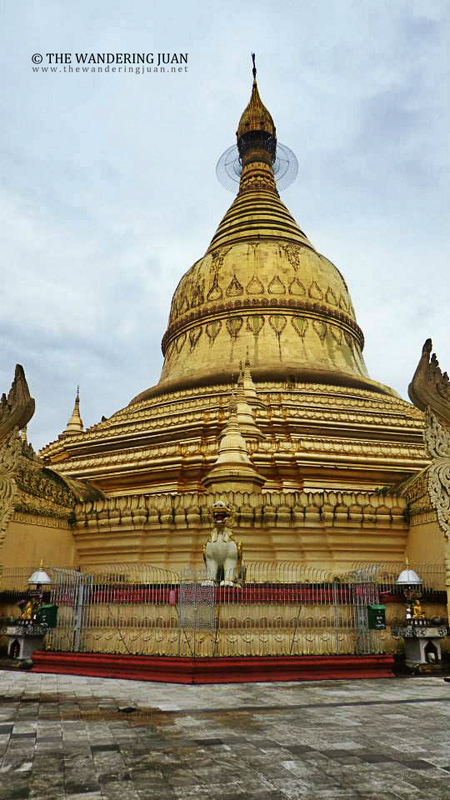 I would love to go sight seeing there as well. My architect friend would soo love to visit Yangoon, Burma just to check out their style of architecture for their buildings and landmarks.